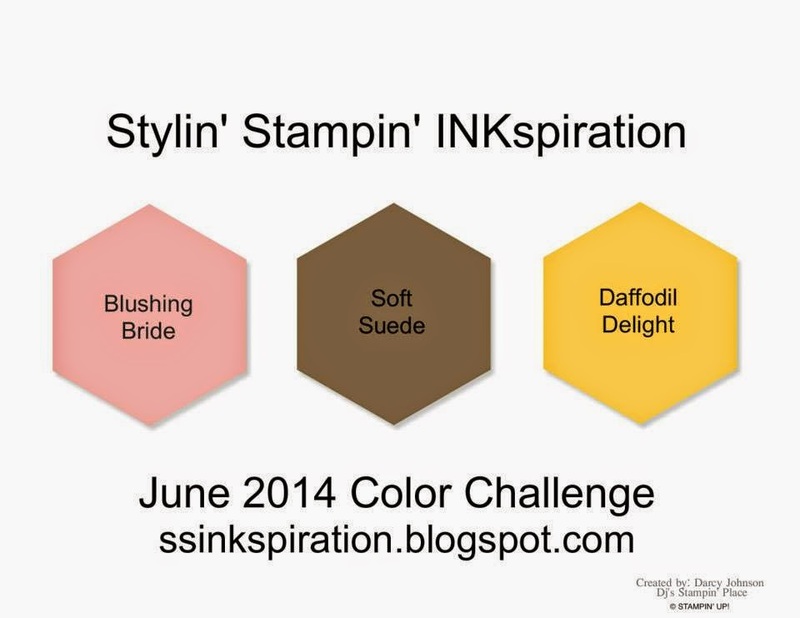 It's a color challenge over at Stylin' Stampin' INKspiration! I love these colors together! Click on the link above to see the creations by the rest of the design team! 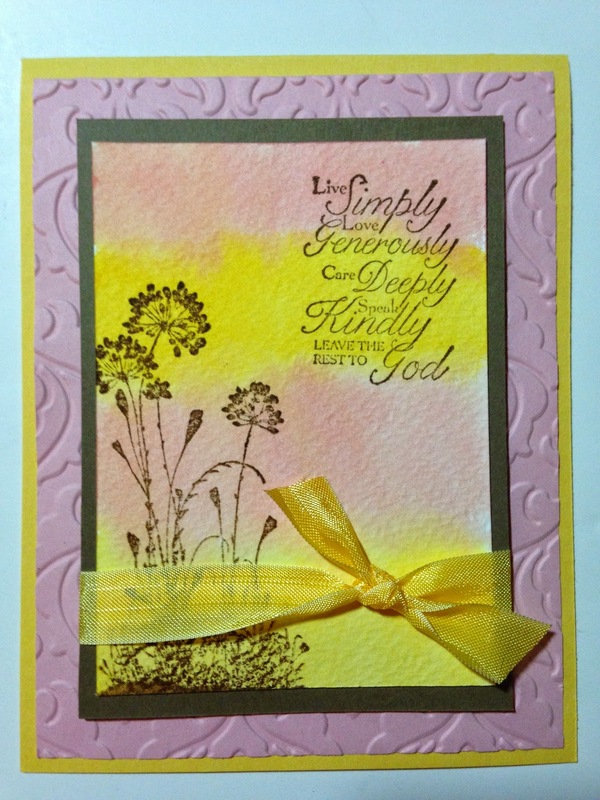 I wanted to use a new stamp set, "Serene Silhouettes" that recently earned! Do you want to earn free stamp sets and Stampin' Up! products? You can join NOW for only $50! Make sure to ask me about that! I made my own Watercolor paper to stamp the images on! I literally took a piece of Watercolor paper, some ink and the Stampin' Up! Aqua Painters! See you tomorrow for more Stylin' Stampin' INKspiration! Love this! Perfect background for this stamped image. Great job with the color challenge.